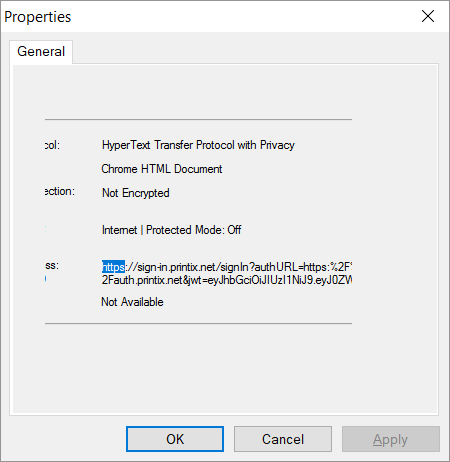 Right-select the page and select Properties. Double-click on the text: https. Copy the entire text to clipboard, by pressing CTRL+A and then CTRL+C.